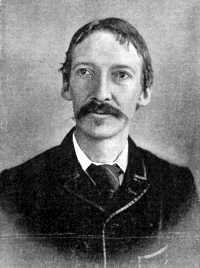 Robert Louis Stevenson was born in Edinburgh, on November 13, 1850. He studied engineering at Edinburgh University, spending his summers in France, but eventually abandoned it in favor of law. However, he never practiced, having decided that he would be a writer. His first published work was an essay called "Roads" and his first books were collections of travel writings, such as An Inland Voyage. He then met his future wife Fanny, an older American woman, and traveled to California, which he described in several autobiographical works. He began writing fiction with short stories, such as A Lodging for the Night and The Pavilion of the Links and The Strange Case of Dr. Jekyll and Mr. Hyde. Treasure Island was his first novel, published in 1883, which made him successful. He wrote other novels in the same style, such as Kidnapped and Catriona, as well as historical romances and stories set in the South Seas. Stevenson used a variety of genres in his works, and influenced generations of readers, although he has been condemned by critics as a "popular" writer. He died in December of 1894 and was buried in Samoa. The idea that you can merchandise candidates for high office like breakfast cereal--that you can gather votes like box tops--is, I think, the ultimate indignity to the democratic process. The story of a doctor who seeks to capture and control the duality of man (good and bad), but uses himself in the experiments and changes his life forever. David Balfour, an orphan, is kidnapped by his uncle, but escapes, meets Alan Breck, a Scottish, and becomes involved in the struggle of Alan's people against English rule. Jim Hawkins discovers a treasure map in Captain Flint's chest, and the Captain comes to the Admiral Benbow Inn.